9p access charge plus a service charge. The service charge is charged by the organisation you are calling. *This cost does not include any chargeable calls. For more information on our call charges, please see here. Inclusive evening and weekend calls: Charges to other numbers, including international and mobile charges are set out in the Residential Telephone Service: Tariffs . If you have any queries relating to a specific number that you cannot find in our tariff document, please call customer services or contact us. Please note, bank holidays are classed as normal working week days and charges will still apply on these days. Unlimited evening and weekend UK landline calls are for up to an hour to numbers beginning 01, 02 and 03 but excludes non-geographic numbers 0871, 0845 and 0847, all indirect access calls, Premium Rate services, operator-controlled calls, calls to the internet, information and paging services, local, national and all non-geographic numbers used to dial-up ISPs, other non voice calls and calls to the Channel Islands. Advertised inclusive calls are subject to a pence-per-minute charge rate after one hour. The user can hang up and redial before the end of an hour to avoid additional call charges. Voice Anytime: Maximum call time of any call is 60 minutes. To avoid standard call charges, you can hang up or redial. Charges to other numbers, including international and mobile charges can be found in the Residential Telephone Service: Tariffs . A call connection fee of 15p will also apply. International 300: It is not possible to carry over any un-used minutes into the following month. Un-used minutes will be lost. Any minutes used after the inclusive allowance will be charged at our standard rate. These rates are available in our Residential Tariff document . Partial minutes are rounded up to the nearest minute and deducted from your allowance. Mobile 100: It is not possible to carry over any un-used minutes into the following month. Un-used minutes will be lost. Any minutes used after the inclusive allowance will be charged at our standard rate. These rates are available in our Residential Tariff document . Partial minutes are rounded up to the nearest minute and deducted from your allowance. Now it is even easier to stay in touch with your friends and family at any time of the day for only an extra £6.50 per month. 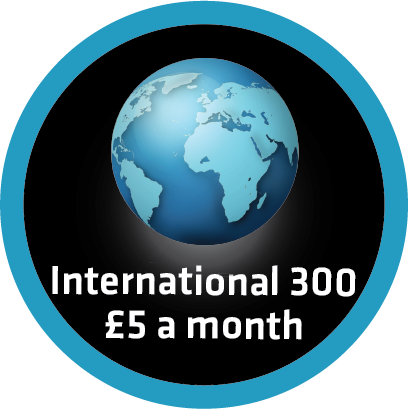 You can enjoy 300 inclusive minutes to 50 fixed line destinations, when you purchase our International 300 call package, for only an extra £5.00 per month. Calls to international mobiles are not included in this package. 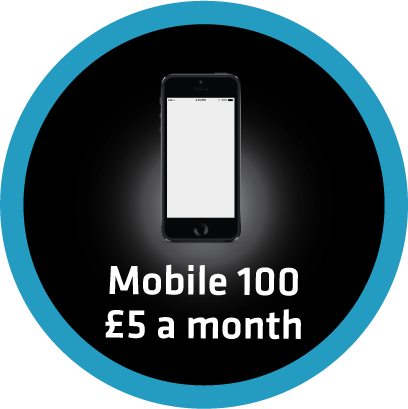 Now you can enjoy 100 inclusive minutes to any UK mobile, for only an extra £5.00 a month when you purchase our Mobile 100 call package. The great thing about this package is that if you want more, you can get more! Additional minutes can be bought in bundles of 100 minutes. Shows you the number that's calling. Tells you the last number that called as well as letting you return the call. Allows you to divert your calls to any phone or mobile. You can also divert calls if your line is engaged. Allows you to bar calls being made from anonymous numbers. Turns your phone into an alarm clock. Lets you know that a second call is on the line. Stops your phone from receiving calls or making certain outgoing calls. Allows you to access your voicemail messages from any phone.